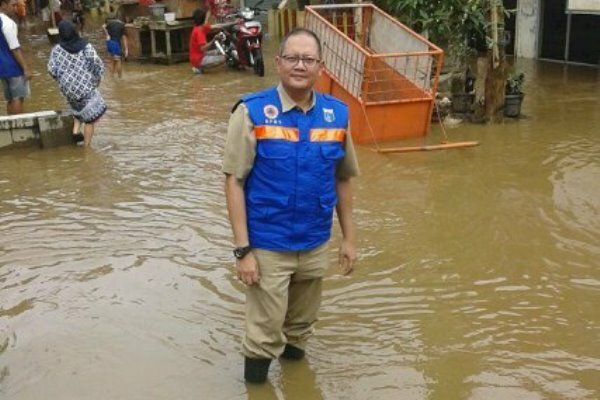 The rainy season is upon Jakarta, and the capital city needs to provide real-time responsive services when it comes to warning its citizens about flooding. Jakarta has been working to provide this service through a digital platform over the past few months. It was announced this past week that the Jakarta City Administration will be introducing a mobile app flood early warning system, Jakarta Flood Information Platform (JAFIP). This app will enable residents to receive or deliver information on floods- in real-time. JAFIP will be limited to the android operating system devices, for the time being. Through this platform, citizens can interact with call centre operators. Jakarta Disaster Mitigation Agency’s (BPBD) employees and volunteers may become operators in case of an emergency situation. Bambang Surya Putra, Head of Jakarta Disaster Mitigation Agency’s (BPBD) information and mitigation division announced the app last Friday. He said that through this app, citizens will be able to receive and report flood information in their respective neighborhood and other parts of Jakarta. As the app is connected to a platform owned by the Jakarta City Administration, a wider spectrum of people will be informed about the conditions within the capital. As 13 rivers flow straight into the city, there is great risk for flood-related damages. This mobile app aims to give added support to citizens during this rainy season in Jakarta. The peak of this rainy season is expected to hit during the months of January and February. To reach the disaster alert call centre, citizens can call 021-164 to 100.